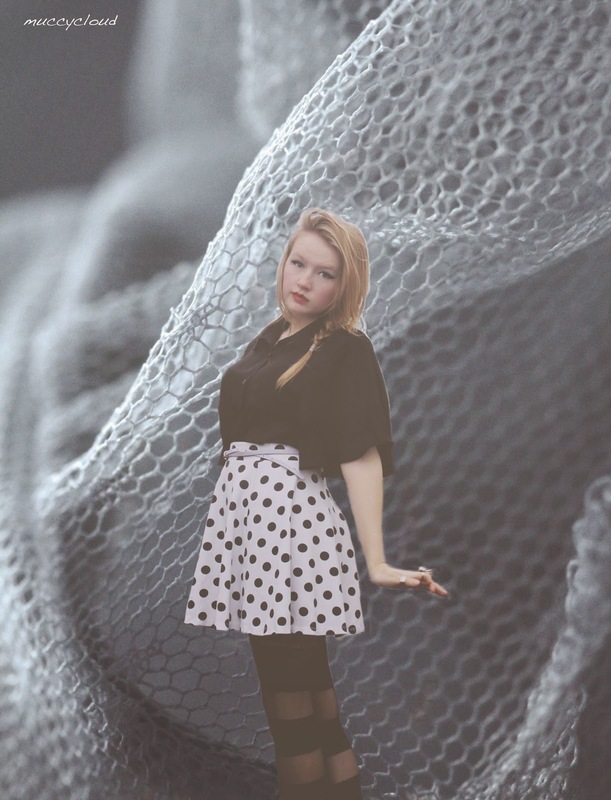 So as I said, today's post is an outfit post with a twist. I didn't intend to do a post like this but I was editing and I just really didn't like the backdrop. So I used some other pictures I'd taken instead. These took me sooo long to edit but I like it, they're a little but random and quite weird. I really like that. All pictures in this post were taken by me. If you order from Born Pretty Store use the code "ZDT10" for 10% off your entire order. Some of these pictures are a little messy but as my first proper go at this stuff with this blog. Look me a while, but I'm pretty pleased with these. Need to go out and take more pictures for backgrounds to do more photos like these. I think the blush puff one is my favourite. 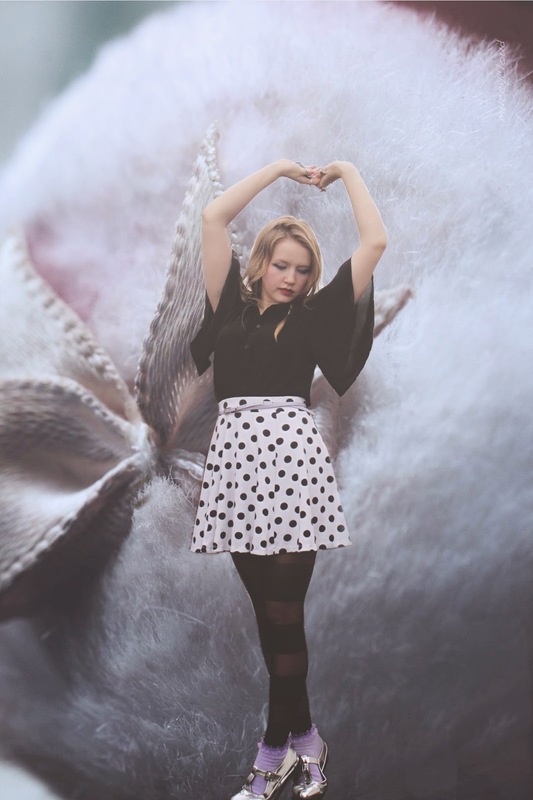 Hope you liked this a little bit different outfit post, thanks for reading. Cool how you edited the photos! I like the play with the backgrounds! cool edits. & love the lilac socks + metallic shoe combo. 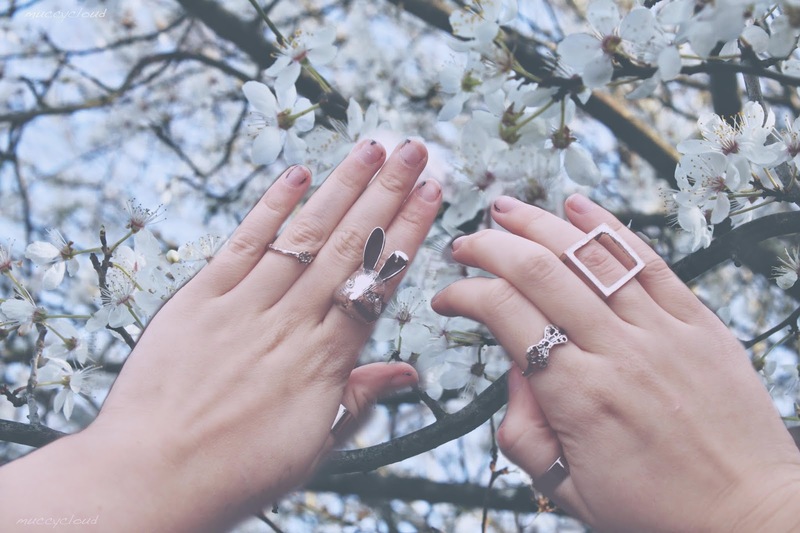 Obsessed with the bunny ring! Wow. This edit is amazing! I love every single thing about it! You've got yourself a new follower! 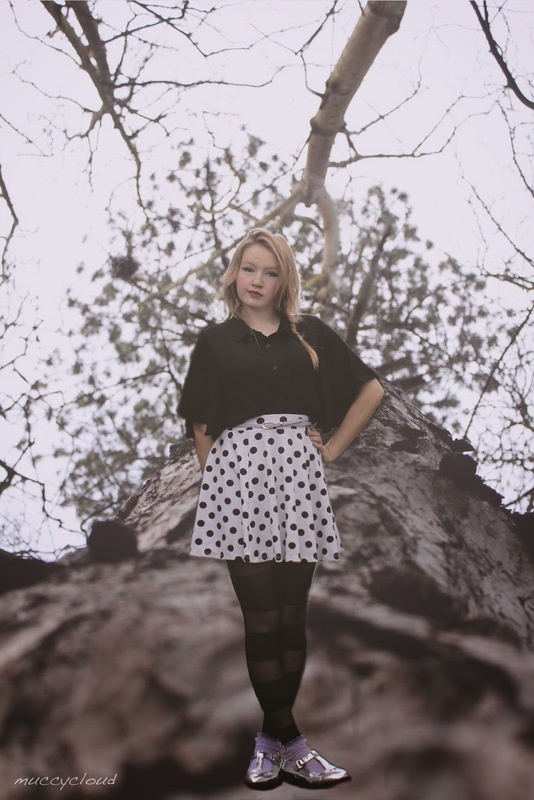 Love your polka dot skirt, it's super cute! omg I love love love lilac ! Neat experiments with backgrounds! I need to experiment with photoshop more. This kind of reminds me of Free People catalogs. That skirt is so adorable and I really love your rings! Hello,Ciao...great edited photos:Artistic!...every photo is as beautiful as a painting and your outift is a work of Art! you look great! I love that silver shoes! 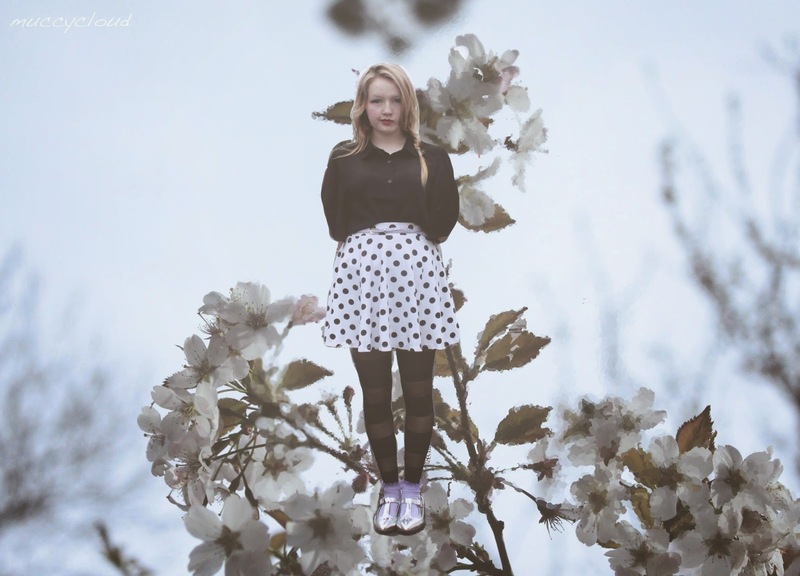 These pictures are beautiful, I've fallen in love with your blog, new follower! The bunny ring is fantastic. Pretty girl. Absolutely love your blog, it's so refreshing to see non-generic outfit posts, love the way you've edited this post! I have massive shoe envy over you metallic geek shoes! Glad I stumbled across your blog, I've hopped on board and look forward to reading your future posts! Aw thank you so much. Thanks for the follow! Love when bloggers experiment with their style posts! So cool! I'm loving your blog, I'm definitely gonna follow you on Bloglovin'!